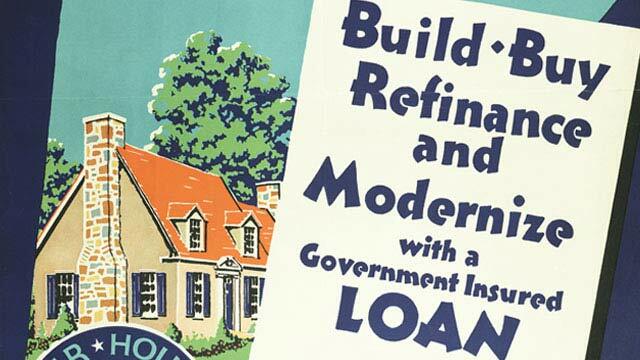 FHA loans are insured by the government in order to help increase the availability of affordable housing in the U.S. These loans are backed by the FHA, which protects lenders from significant losses. An FHA loan is insured by the Federal Housing Administration and protects lenders from financial risk. Lenders have to meet certain criteria for their loans to be termed “FHA-approved,” after which the FHA backs the loans the lender issues in case a borrower defaults on the mortgage. Borrowers must also meet requirements to qualify for one of these loans. Unlike most conventional loans, FHA doesn’t require a large down payment. You can put down as little as 3.5 percent of the purchase price of the property. FHA loans are a good option for young, first-time home buyers who have not had as much time to save for a large down payment or establish a high credit score. Even if you’ve suffered from bankruptcy or foreclosures that have hindered your ability to qualify for traditional loans, you may still qualify for a mortgage through the FHA. Paying the FHA funding fee, which includes a monthly insurance premium as well as an upfront premium, adds on to the cost of the mortgage. You may end up with higher interest rates to compensate for the small down payment than you would with a conventional loan. Whereas conventional loans allow you to cancel your insurance policy once you’ve accrued enough equity on the home, FHA loans require that you continue paying monthly mortgage insurance premiums. FHA loans were designed to help stimulate the housing industry and enable more lenders to operate with less financial risk.